Here is Part 2, as promised! I hope you all had a wonderful Valentine's Day! In this post I am sharing my Valentine's Day dinner outfit with you! I loved how feminine this outfit was. Flow-y lace top, flow-y black skirt with gems on it, black tights, and my new black boots! I got the boots during our Part 1 of Valentine's Day (shopping!!! ); keep reading to see how amaze-fest-usa they really are! We had been planning on going somewhere new this year, trying out one of the many places we haven't been to yet in this college town, making sure we did new things during our last semester in college. So naturally we went to Olive Garden! I wore this silver, multi chain necklace. It added to my "girl-y" outfit since it ties will a pretty cream ribbon - love!! My "arm - party" consisted of this gorgeous (and perfectly matching pink, I might add) bow bracelet that I actually won through a giveaway on Instagram!! 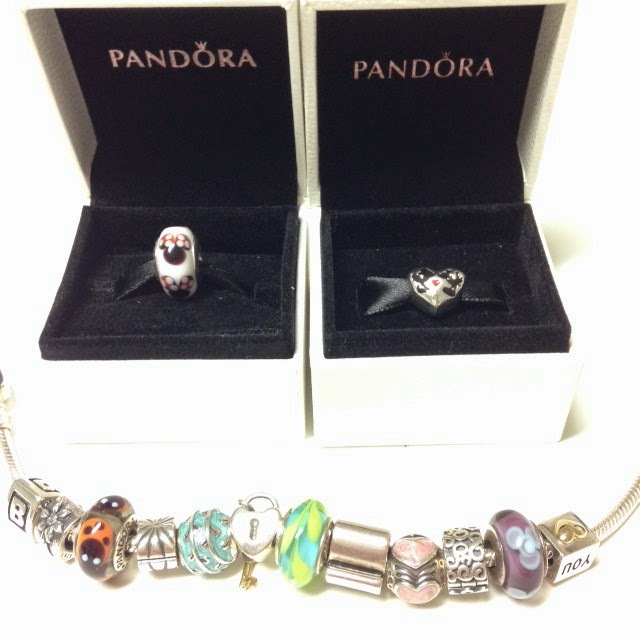 Plus my Pandora bracelet from my *wait for it* fiance! Still can't believe I get to call him that :) He gave it to me for our 3 year anniversary and has been adding on since! The latest additions I got for Christmas are from the new Disney collection! And now for the long awaited boot reveal! Are you dying? Dying? Dead?! Bows on bows on bows! I literally could not say no to these! They were 65% off at Dillard's, they were still up there in price for my taste but, come on! They are covered in BOWS! They were screaming my name, begging me to take them home! I couldn't just leave them there, on the shoe department floor, to wait for some other bow lover to come along. So I took them home with me to join all of my other bow covered clothing! Okayyy that was a tad dramatic - but I seriously love them! 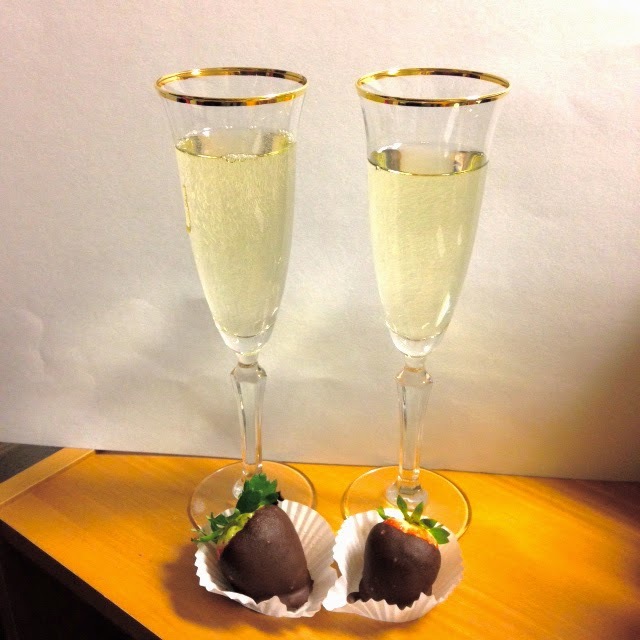 After dinner we picked up some chocolate covered strawberries from Publix to go with our sparkling wine (I really tried to like the wine to be all romantic, but alas, my hatred of the taste of alcohol won once again and I dumped the rest of mine down the drain this morning). It was such an amazing and romantic 7th Valentine's Day and I wish it wasn't over! Can't wait for next year already!